The shift to using SaaS security to enable network security is gaining momentum on a global scale. Speed, ease of use, and low capital expense top the list of factors that are accelerating the adoption of the Software as a Service (SaaS) model. In addition, organizations are increasingly turning to SaaS security to reduce IT burdens, strengthen security, and enhance agility and scalability. However, making sense of the security as a service landscape can be challenging. 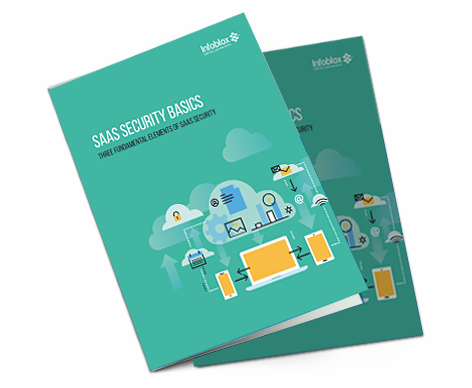 As they consider their options, organizations worldwide can ensure more effective implementations by including three essential elements in their overall SaaS security strategies. For some, SaaS security can be a confusing concept to grasp, in part because the very definition of the term can vary depending on the context in which it is used. For example, it's often referred to broadly as "cloud security",a vague term that, depending on one's perspective, can mean anything from making cloud environments more secure to using the cloud to deliver security services. In other instances, SaaS security gets conflated into "security as a service", which typically refers to outsourced cloud security services managed in turnkey fashion by a third party vendor. These services can range from individual capabilities, such as endpoint protection, to end-to-end network coverage. A managed approach makes sense in certain cases. For example, small and midsized organizations may go the outsource route because they lack internal IT and security skills or knowhow. However, for many enterprises, the notion of turning network security over to an outside vendor carries too many risks and unknowns. Instead, they may wish only to move their traditional on-premises security measures to the cloud, while keeping responsibility in house. For example, they might want to migrate their DNS security to the cloud, but don't want to entrust the operation of it to a third party. In other scenarios, enterprises may choose to complement their on-premises security with cloud-delivered security services, but without having to add infrastructure on site. Complete the form to get your free copy of the eBook.